Newfoundland’s premier road race, the Tely 10, is believed to be the third oldest road race in Canada and one of the oldest in North America. First run in 1922, The Telegram 10 Mile Road Race (the Tely 10) has become the province’s most popular road race, drawing close to 2500 participants for the July, 2009, race. This ten-mile run from the Octagon Pond in the Town of Paradise on the outskirts of St. John’s to Bannerman Park in the heart of the city is a unique challenge for runners of all abilities. For competitive racers it is the one race they all want to win, thus adding their names to the long list of former champions. For the recreational jogger or walker, completing the course is in itself a victory. This year, 2016, will mark the 89th running of the annual classic, and with the exception of the Second World War Years, 1940 – 45, this race has been run every year since its inauguration. 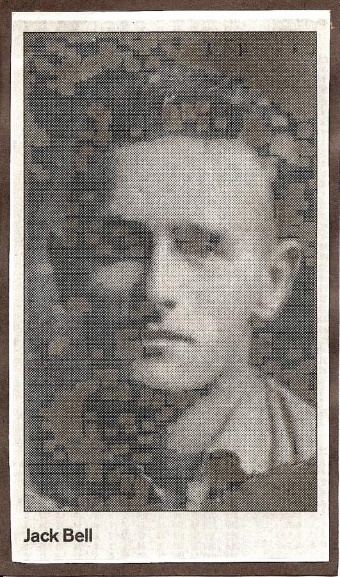 The long list of Tely champions started with Jack Bell in 1922. Even back then, the race was "the event worthwhile that our long distance runners are anxious to carry off." 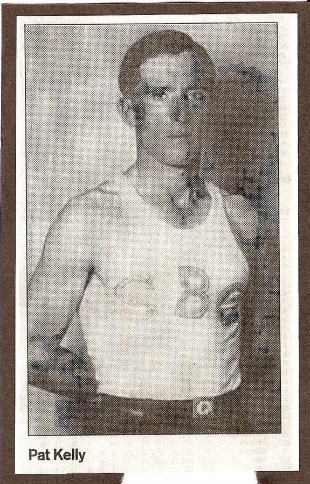 The great Ron O’Toole, one of Newfoundland’s finest distance runners, placed second that year, having been greatly annoyed by a horse and a wagon which got between him and Bell on the course. For the next three years (1923-1925), O’Toole had no cause for annoyance as he finished first each time. The 1924 race was close, however, until the final stages when Billy Linegar, the second-place finisher, was forced to drop back, suffering from "galled feet, owing to poor footware". In 1926, a new champion emerged as Cliff Stone gained the title and retained it for the next seven years. Stone’s best effort came in 1929 when he recorded a time of 52 minutes, 57:06 seconds, establishing a mark that would stand for 41 years. In that race, it is interesting to note that at no time was Stone called upon to exert himself. Following Stone’s seven-year reign, another of Newfoundland’s greatest runners ever, the renowned Pat Kelly, took over in 1933 and for the remainder of that decade reigned supreme. Following the Second World War, Kelly returned for victories in 1946 and 1947, years which saw renewed interest in the race. In 1948, with radio station VOCM broadcasting the race live for the first time, Bern Thistle added his name to the list of champions, followed by Johnny Lafferty of the U.S. Navy at Argentia in 1949. The 1948 contest it may be noted, had to be postponed for a day because of a heavy rain-storm with hurricane winds that swept the island, causing extensive damage in the city. The 1950’s belonged to another great Newfoundland runner, George Hillier, who won the race seven times from 1950 - 1956. Hillier entered his first Telegram race in 1948, placing sixth. The following year he moved up to fourth, after becoming "the victim of the flying and flailing hooves of one of the horses of the Mounted Police" as he neared the finish line. In 1950, the year of his first victory, Hillier had another interesting experience while running. Training on the course one night with an alarm clock in his hand to time himself, Hillier "aroused the suspicions of a constable and some questions resulted". With Hillier absent from the 1957 race, Jim Jackson was crowned champion only to be defeated the following year by a previous winner, Johnny Lafferty. Lafferty was 40 years old at the time, probably the oldest winner of the Tely 10. In that race, onlookers noted that Lafferty ran down the center of the road, glanced frequently at his watch and cut the curves whenever possible. He had made a special trip to St. John’s from the United States to compete in the race. Following Jackson’s second victory in 1959, veteran George Crane won in 1960. This was Crane’s 14th time running the race. He would go on to run it another four years. In the 1961 contest, Charlie Spurrell waited until the last few hundred yards to take the lead and claim victory. From 1962 - 1967, Don Coaker was the undisputed winner of The Telegram classic. With few other competitors in his class, Coaker usually led from the start using a free and easy style of running. With Coaker’s retirement from the race in 1968, Ken Rice claimed victory, followed by Joe Ryan in 1969. It may be noted that both the 1968 and 1969 editions of the Tely 10 were held entirely on the newly installed King George V Track. In 1970, Dan Clarke, a young marine from the Argentia Naval Base, shattered Stone’s 41 year-old record as he raced the course in 50:07. The race that year started at the King George V Track and went up Kenna’s Hill to a point five miles along Logy Bay Road before returning to the track. Clarke returned in 1971 for another impressive victory in 50:35. Following these outstanding performances, renewed interest began to develop in the race as spectators once more lined the streets to cheer on the runners. Bren Kelly won in 1972 followed by Dave Thomas in 1973 and Mike Green in 1974. In 1975, Ben Dunne was the winner, a few weeks after running the famous Boston Marathon. Both the 1976 and 1977 races were won by Harold St. Croix, a young runner from St. Mary’s Bay. In 1978, John Hill, one of British Columbia’s top runners, battled fierce heat for his victory in an excellent time of 51:03. Well-known distance runner Art Meaney, still a strong masters contender, won in 1979, to be followed in 1980 by the sensational Paul McCloy. In his victory that year, McCloy became the first runner to break the 50-minute barrier, shattering the record for the Tely 10 when he crossed the finish line at 49:20. Geoff Thompson, who had finished second to McCloy in the 1980 contest, added his name to the list of champions when he crossed the finish line first in 1981 in 51:28. The following year, a 19-year old New Brunswick runner, Greg Grondin, had to contend with both high temperatures and a record field to take first place in the 55th race. The young athlete led from the start and raced to the finish line in front of St. Thomas’ Church on Military Road in 50:56. One hundred and thirty-six runners finished that race. In 1983, Geoff Thompson returned to lead 183 runners to the finish in a light rain which helped cool the competitors. Peter Lewis, who had placed second on two occasions in the previous three years, emerged the victor in 1984, as the numbers increased and 213 runners completed the course. From 1985 to 1988, record numbers of participants each year continued to enter and complete the historic event. In 1985, McCloy broke his own record in winning the 59th running of the classic in 47:04, a record that may stand for some time. In 1986, in one of the finest contests ever, Dave Whittle sped to a personal best time of 50:56, leading 267 runners across the finish line. Veteran Harold St. Croix, the 1976 and 1977 champion, returned after an absence of several years for two more victories in 1987 and 1988. In ’87, St. Croix faced cool temperatures, rain and a stiff breeze for his victory, while in 1988, he collapsed shortly after crossing the finish line after an all out effort over the last couple of miles. In 1989, the race went to Peter Lewis but St. Croix returned for his fifth victory in 1990. The 1991 race also belonged to the popular St. Croix, as he not only claimed his 6th Tely title, but also became only the second competitor in the history of the race to run under 50 minutes. Distance running star, Paul McCloy, recorded two more impressive victories in 1992 and 1993, while in 1994, with hockey mascot, Buddy the Puffin, officially starting the race, Dave Ruggles raced home first in 51:07. In 1995, as official entries edged closer to the five hundred mark, speedster Ernie Lucas managed to shake off all competitors on the second half of the course to record his first Tely 10 title. Lucas would return to race strongly to a second place finish in 1996 as Paul McCloy recorded his fifth victory, and the number of finishers soared above the 500 mark. The number of finishers increased again in 1997 as Scott Young ran a smart race to become the new Tely champion. Young would successfully defend his title in 1998, running a time of 54:26 under wet and foggy conditions, and again in 1999 when he led almost 800 competitors to the finish line. The 2005 Tely 10 witnessed a record number of 1690 participants turn out to make the trek from the Town of Paradise as the race continued to grow in popularity. This year also saw a new champion declared as Colin Fewer raced home the winner on wet and slippery roads. Fewer would claim his second straight title in 2006 but in order to do so he would have to out-sprint five-time champion, Paul McCloy, just metres from the finish line. Fewer would claim his third victory in 2007, his fourth in 2008 and his fifth in 2009. In doing so he would join some legendary company, becoming the seventh runner in Tely 10 history to record five or more victories. His time for the 2009 race was 50:41, run under cool and misty weather conditions accompanied by a slight but cool headwind from the east. The 2009 Tely race would also see the greatest number of finishers ever as 2484 runners made their way over the scenic 10-mile course, the event becoming more popular than ever. Women first started running The Telegram race in 1969 when 16-year old Jackie Kean entered the race to see if she could do it. Kean returned for a second victory in 1970. However, with the exception of a few female runners like Georgina Parsons, Bonnie Reid, Gail Vincent, Cindy French and Colleen Martin, it wasn’t until 10 years later in 1979, that the number of female competitors increased significantly. Since then, women have turned in many outstanding performances in the Tely 10, perhaps the greatest being Nicola Will’s 1986 victory. In that race, Will finished in a record time of 55:47 for eight place overall, beating many top male runners. Noeleen Wadden proved to be the top female runner in the early 90’s as she recorded first place finishes in 1990, 1992, and 1993, with only Sue Malone interrupting her winning streak in 1991. A young tri-athlete from Quebec, Isabelle Turcotte, won the 1994 event, while Tracy Pope became the female champion in 1995, starting slowly and increasing her pace later in the race. In 1996, 44-year old Pam Bulgin surprised everyone, including herself, as she became the oldest runner ever to claim the female championship. In 1997, Susan King, waited until almost the last minute to enter, then raced home first in 64:01. In the 1998 contest, Noeleen Wadden visiting from Ottawa, showed that she had not lost any of her speed and endurance as she won her fourth Tely title. Marie Decker’s turn to claim the female crown came in 1999 as the superbly fit athlete raced the course in 62 minutes and 43 seconds. Decker tried courageously to defend her title in the 2000 race, only to finish second as Allison Hobeika beat her to the tape by twenty seconds to become the new Tely champion. Hobeika would claim her second victory in 2001 as she led more than 400 females to the finish line. The 2002 race would see a new female champion crowned as well-known cross-country runner Anne Barrington was first across the finish line, while in the 2003 event, Lisa Harvey, wife of six-time men’s champion, Paul McCloy, would lead all other females to the finish. Barrington would claim her second crown in 2004 as she led all other females to the finish in a superb time of 58:52, the 5th fastest women’s time ever. In 2005 Caroline McIlroy, newly arrived in the province from Manchester, England, would add her name to the list of female champions. Finishing in a relatively slow winning time of 61:42, McIlroy, new to the 10-mile distance started out extremely fast, struggled in the latter stages, and just managed to hand on for victory. Lisa Harvey, the 2003 champion, would return to the Tely race in 2006 to post the third fastest women’s time in Tely history, winning by a wide margin in 57:12. Harvey would successfully defend her title in 2007, 2008 and 2009. The 2008 race, it may be noted, saw more female competitors than male for the first time ever. A record 2,047 runners completed the course that year. In 2010, a sensational new female runner appeared on the scene as Kate Vaughan-Bazeley raced the course in 56:36, the second fastest female time ever, just forty-nine seconds of Nicola Will’s record of 55:47, set twenty-four years earlier in 1986. Vaughan-Bazeley would claim her second victory in 2011. In the 2011 event, it may be noted, a record 2868 participants successfully completed the course with 474 more female competitors than males crossing the Bannerman Park finish line. The number of participants gearing up for the Tely continued to increase in 2012, as five days before the race set this year for Sunday, July 22, registration had topped the previous year’s total with 3212 registered for the event. Another 369 would sign up before registration officially closed on Saturday evening. 3363 successfully completed the 10-mile course this year, with 27-year old, Matt Loiselle, from Windsor, Ontario, blitzing the course in 48:09, the third fastest time ever behind Paul McCloy’s 47:04 in 1985 and 47:54 in 1993. Former Olympian, Lisa Harvey, won her sixth Tely 10 title in 58:58, just two seconds ahead of Caroline McIlroy in one of the most exciting Tely 10 finishes ever. Harvey would return in 2013 for her seventh victory, while in the men’s division, Dan McNeil from Halifax, Nova Scotia, claimed the title, running the course in 51:11, two minutes faster than his nearest rival. 3322 participants finished the course this year, down slightly from the previous year. The numbers of successful Tely participants would rebound, however, in 2014 as 3774 made their way in over Topsail Road from the Town of Paradise to Bannerman Park. Colin Fewer would return as the men’s champion claiming his 8th Tely title, placing him in sole possession of second place on the all-time wins chart, just one behind renowned Pat Kelly’s nine victories. In the female category, Kate Vaughan-Beazely, undoubtedly Newfoundland’s best female runner, dominated the women’s field by three minutes in coming close to setting a new female course record, falling just seven seconds short of Nicola Will’s 1986 time of 55:47. The 88th running of the Tely 10 in 2015, was held under chilly conditions as the temperature dropped to just 7 degrees C and a light mist greeted the runners for the 8 am. start in the Town of Paradise. Forty-nine minutes and twenty-five seconds later Matt Loiselle of Windsor, Ont. Crossed the finish line at Bannerman Park, posting the fifth fastest time in Tely 10 history. It was Loiselle’s second victory in the prestigious race. In the female division, Anne (Barrinton) Johnston claimed her third Tely crown, running the scenic Topsail Road course in 58:58, just six seconds slower than her winning time in 2004, eleven years earlier. A record 4128 participants completed the course with 830 more female runners than male. With the 89th running of this classic race scheduled for July 24 of 2016, defending champion Matt Loiselle, the Windsor, Ontario, speedster, was undoubtedly considered one of the favourites, hoping to make it two in a row. Strong competition, however, was expected from 8th time champion, Colin Fewer, as well as from Marystown native Ryan Brockerville, Graydon Snyder of Montreal and a tough local competitor, David Freake. 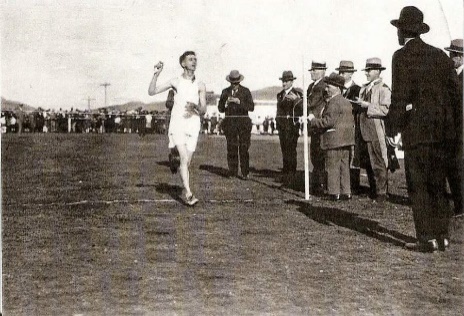 However at the finish on a relatively warm day with 20 degree plus temperatures, it was Fewer first down Bannerman Road to the thunderous applause of the finish line crowds, his 9th victory tying him for most Tely victories with the renowned Pat Kelly, a Tely champion in the 1930’s and 40’s. In the female division, it was Kate Bazely who excited the spectators along the course and at the finish as she sped the 10 mile distance to a new female record of 55:34, eclipsing Nicola Will’s record of 55:47, one that had stood for more than 30 years. An historic achievement indeed for Bazely! Caroline McIlroy was the second female across the line this year, with Jennifer Murrin 3rd, and the defending champion, Anne Johnson, 4th. Of the 4912 participants registered, 4349 finished the race, many either not starting or unable to finish the trek owing to the very warm temperatures on this July day. 2017 was a historic one for the Tely 10 as it celebrated its 90th running on July 23 under pleasant weather conditions with sunny skies and 14 degree temperatures. Registration was once again close to the 5000 mark, as this historic and popular race continued to attract participants. The big news this year was that the female division was wide open as the defending race champion and new record holder, Kate Bazely, would not be back to defend her title. Bazely had sustained a serious knee injury during the winter and in addition was about to deliver her second child. In her absence, tough competition was expected from several top female runners, among them Caroline McIlroy the 2005 winner, Alison Walsh, Jennifer Murrin, Lisa Collins-Sheppard, and Jennifer Baron. First across the Bannerman Road finish line this time was Murrin in 57:14, putting her in the top 10 of all-time finish times for female competitors. Lisa Collins-Sheppard was the runner-up with veteran Caroline McIlroy crossing the finish line in the third position. History was made once again this year, this time in the men’s division as the defending champion, Colin Fewer, recorded his record 10th Tely victory, surpassing Pat Kelly’s long standing 9 Tely wins. A remarkable performance for this outstanding runner. Fewer’s time was a quick 49:41, the sixth fastest ever recorded in the Tely. Matt Loiselle, the champion from 2012 and 2015 placed second in 50:27 with David Freke 3rd in 51.22.